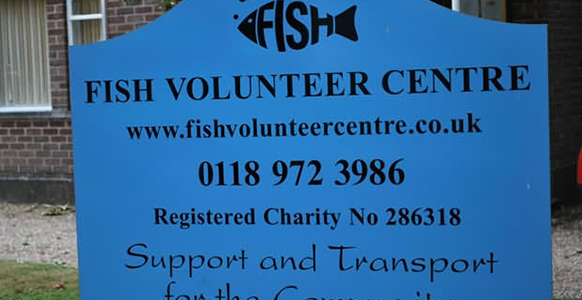 The Fish Volunteer Centre has an office in Sonning Common, which is staffed by volunteers and is open two hours each weekday. 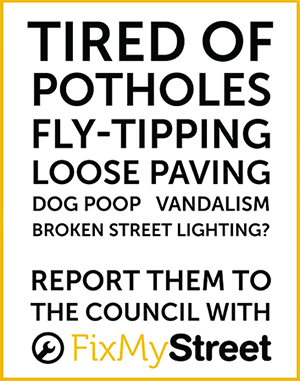 Our mandate is to support and transport those in need in our community. We carry out about 1,000 trips a year to hospitals, doctors, clinics and other essential journeys for the elderly, infirm and disabled. Our 16-seat mini bus with disabled access and wheelchair lift is ‘on the road’ each week day and some weekends. Trips to supermarkets and other shopping trips, all kinds of leisure outings and mystery tea tours are just some the 10,000 miles a year that the bus does. FISH run a party in the village hall once a month and between 60 and 70 people attend, 20 of them require transport, entertainment is provided and they really enjoy it. Our next project is to set up a small team of volunteers to visit the house bound on a ‘friends basis’. We are also setting up a ‘drop in facility’ at the office now that we have the room so that local folk can pop in for a chat and a cup of tea. We now have a newsletter twice a year to keep the community informed of our activities and it is a good way to try and attract new volunteers. Although based in Sonning Common we cover the same area as the health centre which includes five surrounding villages. In total we have about 70 volunteers but are always looking for more! All this takes a great deal of financing and fund raising is always at the top of the agenda.